White pine frees were growing here when -Columbus made his voyage to America. 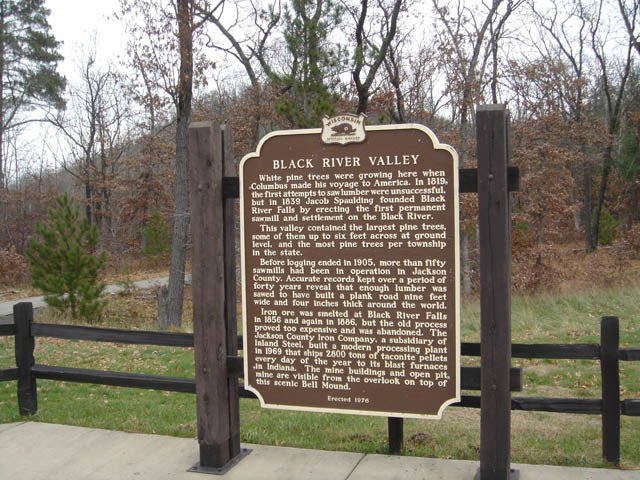 In 1819 the first attempts to saw lumber were unsuccessful, but in 1839 Jacob Spaulding founded Black River Falls b erecting the first permanent sawmill and settlement on the Black River. This valley contained the largest pine trees, some of them up to six feet across at ground level, and the most pine trees per township in the state. Before logging ended in 1905, more than fifty sawmills had been in operation in Jackson County. Accurate records kept over a period of forty years reveal that enough lumber was sawed to have built a plank road nine feet wide and four inches thick around the world.